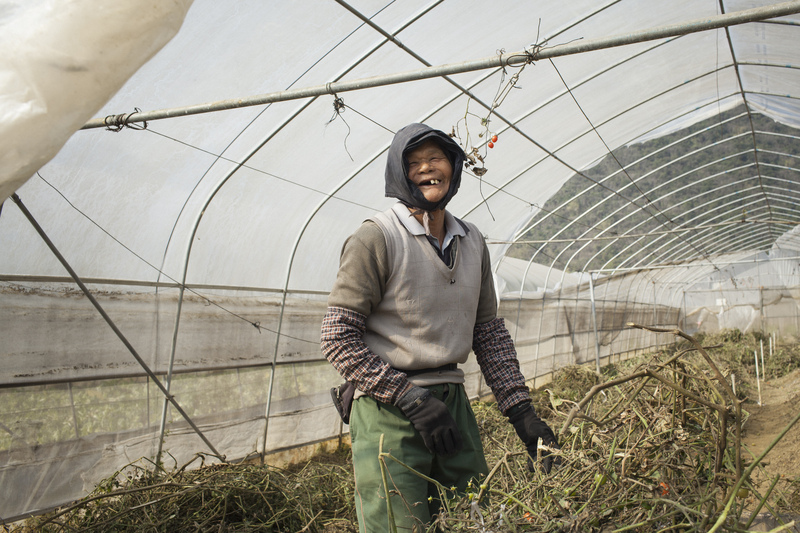 A farmer collects lettuces at Magic Seasons Organics in Chingyuan, South China. 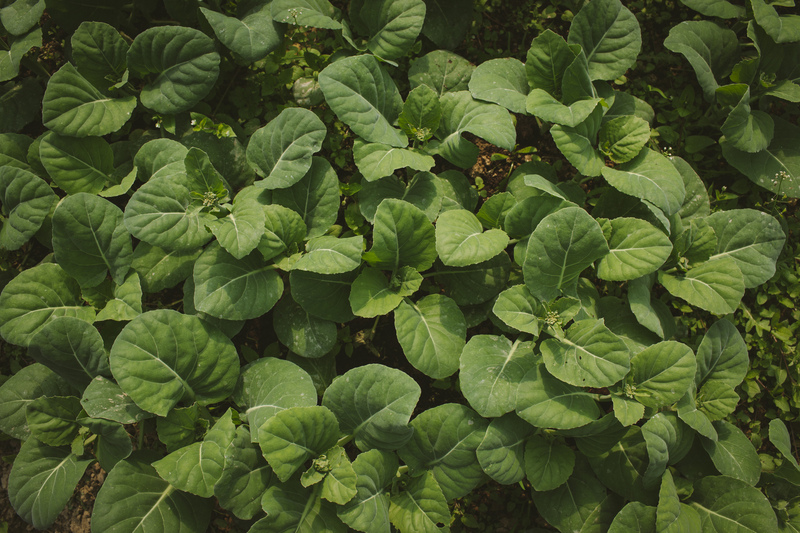 Post-harvest, the Kwongs bring a variety of the leafy greens to a restaurant on the way back to Qingyaun city where they use their own greens in a hotpot lunch. 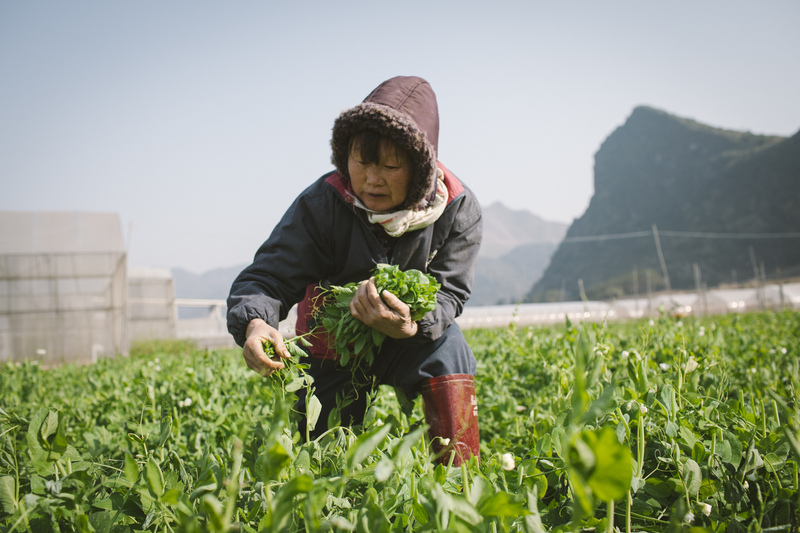 A farmer from a nearby village picks pea shoots at Magic Seasons Organics farm. 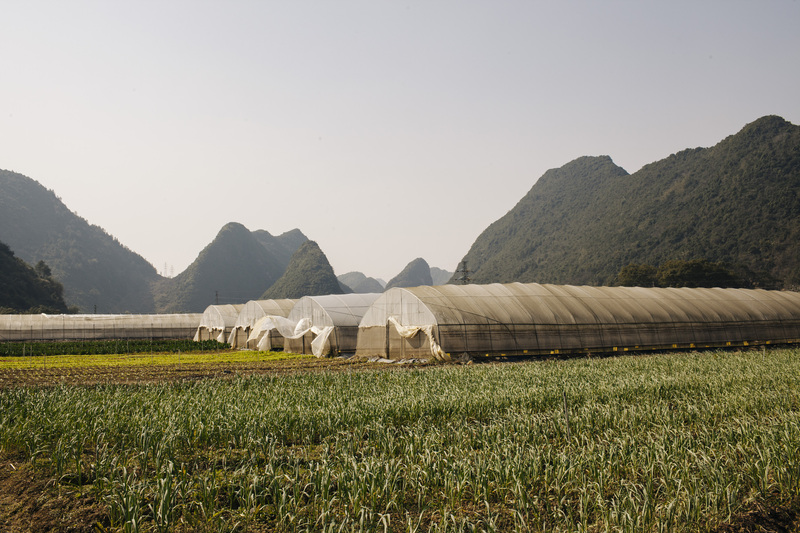 Fields of onion, garlic, and greens thrive at Raymond and Becky Kwong’s farm in the rural outskirts of Qingyuan, a mountainous subtropical region east of China’s most populous city Guangzhou. Farmers at Magic Seasons Organics stand in the foreground of a bridge under construction. The Kwong’s looked long and hard for a plot of land far from pollution, but it seems that industrial planners might bring it to them regardless. “We hope they never finish it,” says Becky Kwong. 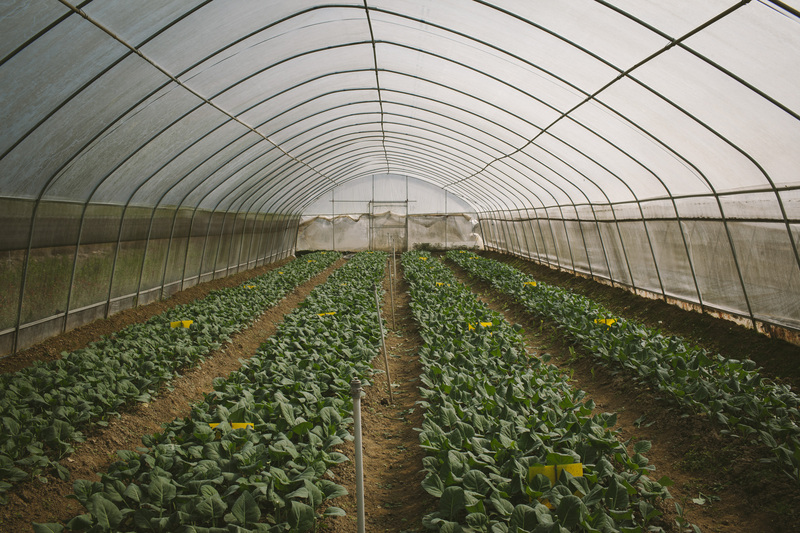 A greenhouse full of pak choi is ready for harvest at Magic Seasons Organics in Qingyuan, China. The leafy green, a staple of Cantonese food, is often served slathered in garlic, alongside roast meats, and in many soups and noodle dishes. A farmer processes harvested tomato vines at Magic Seasons Organics. 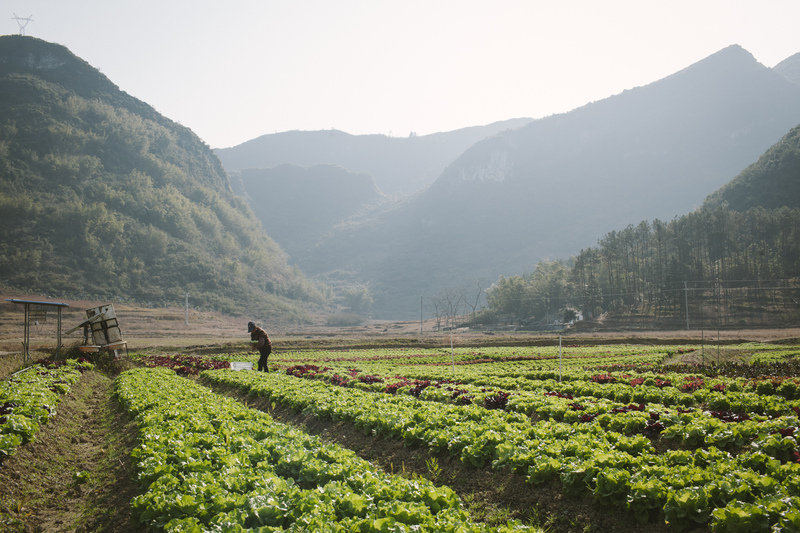 In Beijing and Shanghai, the increasing phenomena of young people returning to the countryside to pursue farming has its own name, “fanxiang qingnian”. 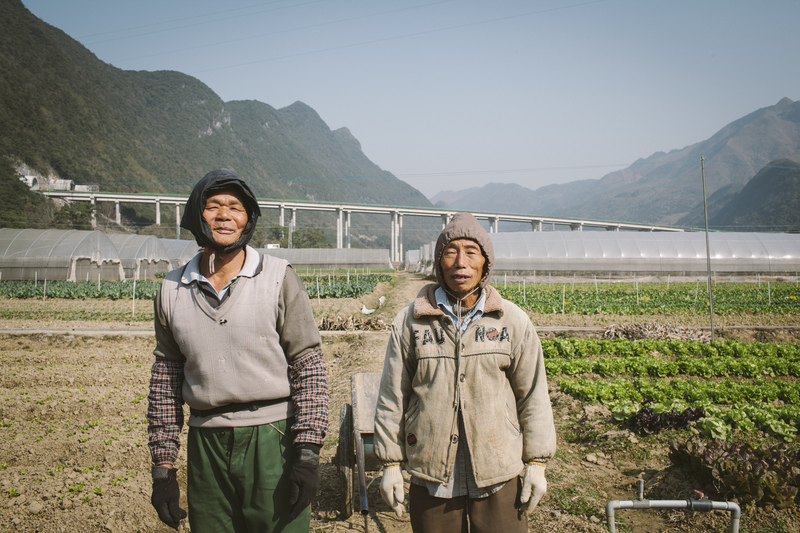 Here in rural Qingyuan, the Kwong’s farmers are over 40, and for most of them the impetus to farm organically came in the form of a job offer rather than a lifestyle change. Gai lan (Chinese kale) at Magic Seasons Organics. The Kwongs say that customers often have unrealistic expectations of organic produce, that they want vegetables with no imperfections that comparable in size to the genetically modified, chemically fertilized vegetables available at wet markets. 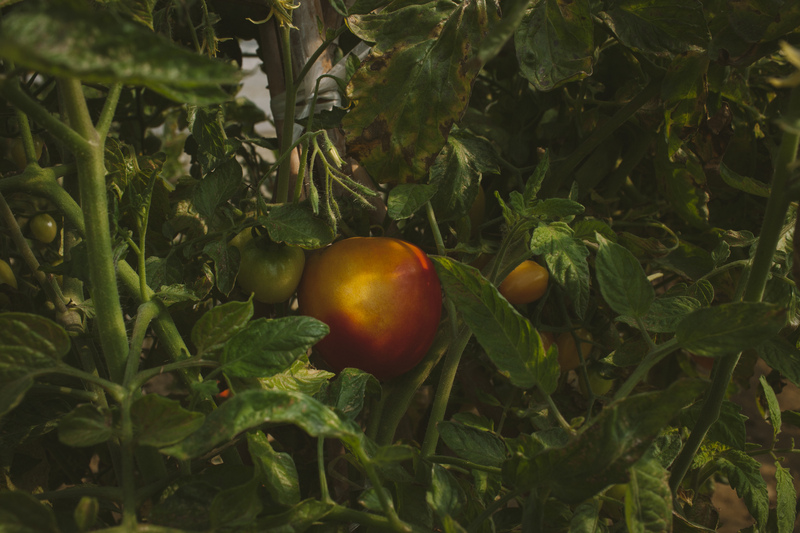 The Kwongs hope that customers will recognize the difference in taste between generic tomatoes available in the region and their organic, vine-ripened tomatoes grown on their farm. Mr. Kwong and the fertilizer plant attendant at Magic Seasons Organics check on operations. 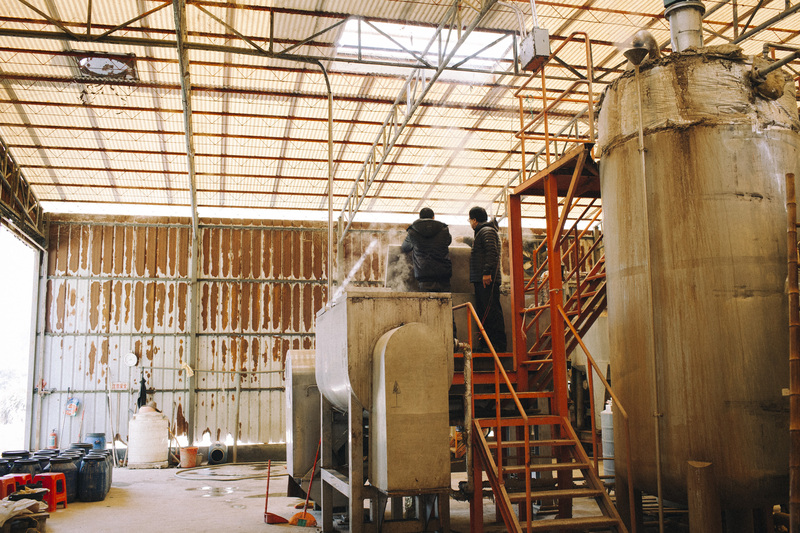 Kwong started producing fertilizer in 2002 when he worked with City University Hong Kong to create a fermentation process that turned natural waste into high-quality organic fertilizer — a resource he says was severely lacking in Hong Kong at the time. All pictures are taken in Qingyuan, China on 5 February 2018.